Generally speaking, civil litigation is the result of at least one party is claimed to have committed a wrong, but not a crime. 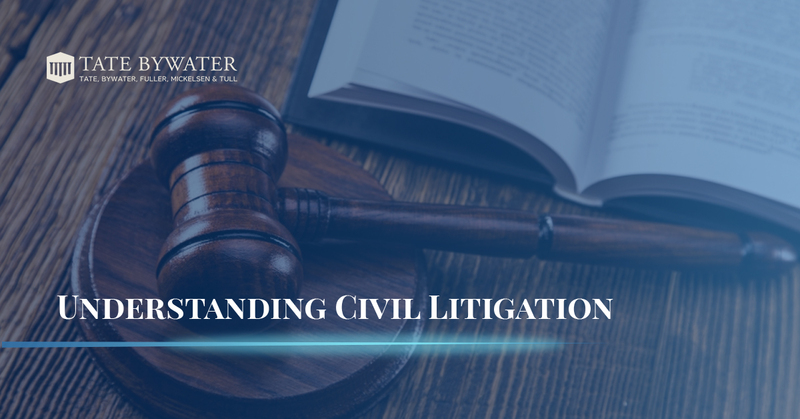 Depending on who you ask, some litigation attorneys will say that many specialized subjects within the umbrella of civil litigation are not, strictly speaking, civil litigation cases. For example, labor law and small claims cases can be given more precise descriptors, but are still technically types of “civil litigation”. In today’s post, we will be taking a deeper dive into civil litigation. 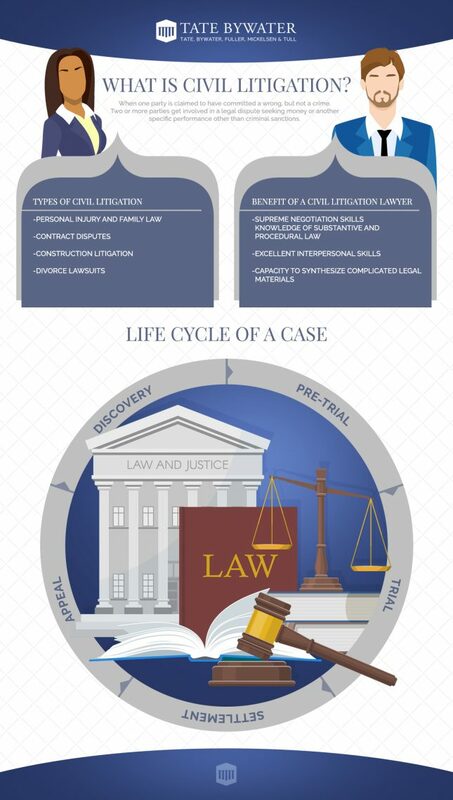 We will discuss the types of civil litigation that can occur, your litigation lawyer’s role in proceedings, as well as outline the typical life cycle of a civil litigation case. There are many types of disputes that qualify as civil litigation cases. Many citizens get involved in civil litigation cases. In the U.S., most cases are heard in state courts but some civil litigation cases are heard at the federal level. Below are some examples. The usual civil litigation case can be sectioned into various parts, which can include investigation, pleadings, discovery, pretrial proceedings, potential settlement or trial, and appeal. Discovery Process – Usually involves the exchanging of pertinent information between parties. Litigation lawyers may also use this time to examine physical evidence, inspect the scene of the incident, as well as process and analyze data. Pre-Trial – Litigators advise their clients, retain expert witnesses, and develop a strategy for the upcoming proceedings. Trial – Most cases are settled prior to going to trial. But if the case does go to trial, the case proceeds as a typical case might; lawyers select a jury, present their case, examine and cross-examine witnesses, and present their case through evidence and testimony. Settlement – Most cases never go to trial but rather are settled, a period in which opposing parties negotiate to find a compromise. Appeal – If the litigation lawyer (representing the client) doesn’t approve of the outcome, they may appeal the case, which is a quite complex process in its own right. TATE BYWATER Law has been serving the greater Washington metropolitan area since 1972. We call ourselves lawyers for your life, and for good reason. Our practice areas of expertise include business and corporate law, bankruptcy, family law, immigration, real estate, estate planning, just to name a few. If you find yourself in need of legal counsel in Fairfax County, Prince William County, Maryland, and DC, consider TATE BYWATER Law. Speak with an expert and schedule your appointment today!